QuickPro Locksmith offers emergency commercial building lockout service in Norcross, GA and all surrounding areas. Getting locked out of your office, home or other building can be extremely frustrating. In today’s busy world, no one has the time to stay stranded for long. Get the help you need from a Norcross locksmith you can trust. At QuickPro Locksmith, our highly trained and experienced professionals will come to your location with all the tools and skills needed to get you back inside quickly and affordably. We can also provide other important services like key duplication, lock repairs, key retrieval, new lock installations and more. The next time you’re suffering from a building lockout in Norcross, Georgia, call the experts at QuickPro Locksmith. Our friendly, knowledgeable staff can answer all your questions and can also schedule a convenient appointment with a professional mobile locksmith in Norcross, GA or a surrounding metro Atlanta neighborhood. The only thing worse than being locked outside is not being able to get a local locksmith to answer the phone. Unfortunately, many people run into this problem when a lockout emergency happens overnight or through the weekend. Some locksmith companies may choose not to accept service calls after normal business hours, but the team at QuickPro Locksmith will always put your needs first. That’s why we offer our premium mobile locksmith services 24 hours a day, 7 days a week. Whether it’s noon or midnight, our experts will be ready to come to the rescue. In tandem with your lockout assistance, there may be other important locksmith services you require. If you wish to get a new set of keys made, change your existing lock or repair a damaged deadbolt, we can help. When you hire a professional mobile locksmith in Norcross for assistance with your building lockout, you’ll have a professional at your side whose experienced and ready to put their tools to work for you. Our team will arrive at your location with everything they need to get you safely back inside, and help you avoid future lockouts and security issues as well. Do you or those around you seem to lose their keys frequently? 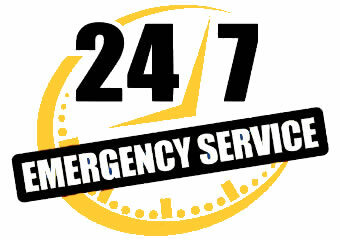 Are you getting tired of having to make emergency calls for help? Installing a keyless entry system might be a great way to avoid future mishaps. There are many varieties of keyless entry systems available for both residential and commercial use. From manual keypads, to wireless smart locks, our professional locksmiths can work one on one to help you find the perfect lock system for your needs and budget. The next time you’re dealing with a building lockout in Norcross, Georgia or a surrounding metro Atlanta community, give the professionals at QuickPro Locksmith a call. We will work hard to ensure that you get back inside your home, retail store, office space, warehouse or other property as soon as possible, for a price that will fit your budget. Contact our office today for more information or to schedule a time to meet with a Norcross locksmith near you.